Rich, hot cocoa in single serving packs. Contains 35% less sugar than other major brands. Enjoy the sweet flavor of Nestle cocoa. Rich hot chocolate mix to stay warm on those cold days. Contains 35% less sugar than other major brands. 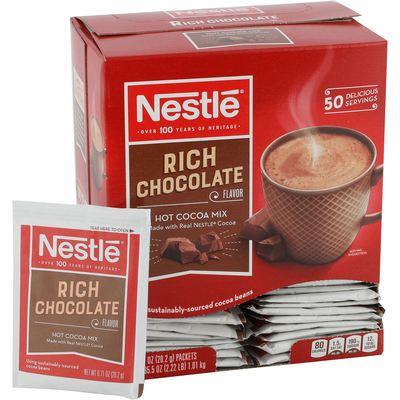 Enjoy the sweet flavor of Nestle Hot Cocoa. Each packet makes one perfect cup of cocoa.